Have you ever walked into someone’s home and immediately know something about them just by looking around their entryway or living room? Often times I check out the decor just because I love thinking about such things but usually the decor speaks for the homeowner. I want my own decor to tell a story of who I am and to inspire those who come into my home to use color and vibrancy to tell their own story. I want to give them a “Eureka!” moment. Graham & Brown recently asked me to become a brand ambassador for them and I was super eager to agree. This company is based in England and offers absolutely STUNNING wallpaper. But they also offer paint and other home decor/accessory items. Each month Graham & Brown would like myself and several other home decor bloggers to write about a certain home decor trend. As you can tell, this month’s is “Eureka Trend”. I thought I’d make a fun inspiration board to show an example of creating a Eureka moment in your home. The first space people see in most homes is the entry way, so we’re going to go with that room! I feel like this is the perfect place to introduce yourself and your family to guests. I want my home to say relax, come on in and be yourself, feel inspired and enjoy your time here. How fantastic is this wallpaper and paint from Graham & Brown? 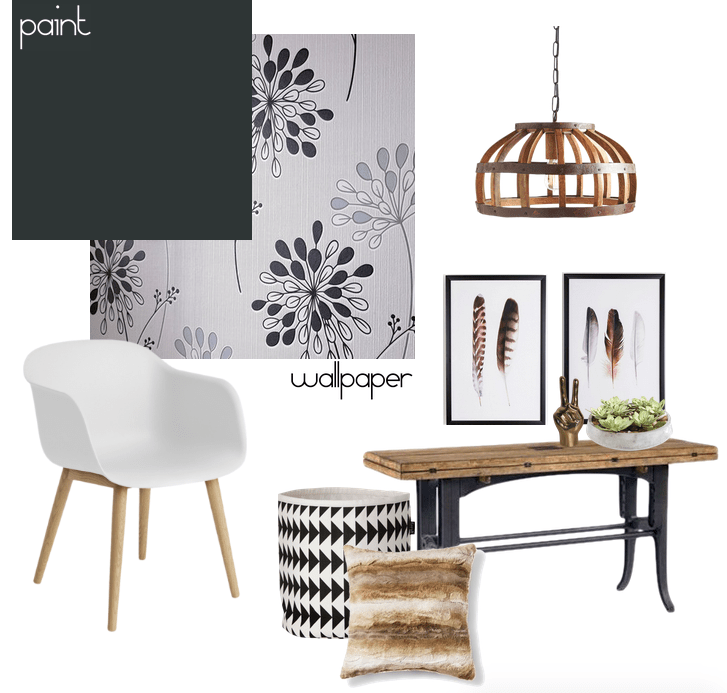 The wallpaper is called Black & White Bursts and I love that it’s lively and still neutral. It definitely tells my guest we’re a fun family that you can relax around. I would hope it’s boldness inspires a Eureka moment!! The paint color is called Pendle Witch and it’s the perfect muddy black to accentuate the wallpaper. I actually have this very entry table in my entryway. We scored it for a great deal. It’s a very heavy, large piece that grounds the space. Add in a couple natural elements like the fur pillow and the lovely Feather prints, also from Graham & Brown and the space really speaks to relaxation, fun, calm and beauty. 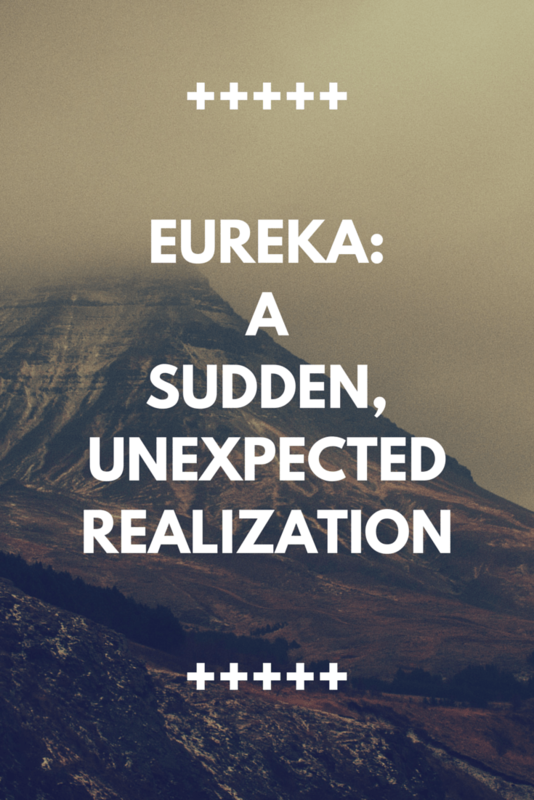 How do you create that Eureka moment in your home? How do you feel your home inspires guests to show their personality in their home? Can you see you or your family’s personalities present in your home? Amazing! I love a good Eureka! moment and I’m working hard on finding that finishing piece (a table or something!) for my entry to create just that! Great job on the style board! Love it!! Thanks for stopping by Krystal and good luck on finding the perfect piece for your entry! !